Whether you’re looking to replace all the doors & windows in your home or just one, we can meet your requirements, offering a range of styles, materials and colours. Choosing the right doors & windows is an important decision, and specific to your house. Our showroom has a hand-picked range of styles, materials and colours to match the requirements and aesthetics of your home. We can offer a vast range of Aluminium, Composite and PVC residential doors, each door tailor made to suit your property and needs. Doors can be designed to compliment your property with a seemingly never ending choice of glass, panels, designs, colours and furniture. We have brochures on hand to help you choose. We are also able to offer you “secure by Design” doors, giving you and your family complete piece of mind and the feeling of real security in your home. French doors can truly open up a room maximising light and opening, ideal for patios and conservatories. As with our other pvc products french doors are available in all the range of materials, colours and woodgrains. Balanced handles are a standard feature and available in Gold, Chrome, Black and White. We can also offer low aluminium thresholds and “part M” compliant low wheelchairs thresholds. Over the years Patio doors have been a very popular door choice for homeowners, and the benefits are well known. More ambient light and the unique space saving, ‘sliding action’ being the most notable. Both of which, lend themselves well to porch and garden applications. But patio doors also serve well as room dividers – particularly when installed with the low threshold option, which sits flush with the level of the floor covering. Our TS Collection patio pane utilises ‘low-line’ gaskets which are extruded to the sash frame – giving a larger visible glass area, which gives you an even better view of your garden. 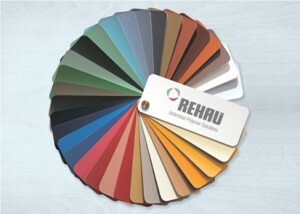 We can offer a huge range of PVC reinforced door panels, all available in all the colours of our other PVC products. There is also a vast choice of different glass options with each panel, so you can be sure to find one to fully suit your property and needs. All available many furniture colours and options. We can offer Aluminium Bi-folding doors, available in a huge range of colours. Bring the “outside in” by opening entire facades in your home and make the most of a beautiful garden. Any aspiration is possible with Aluminium bi – folding doors. These beautifully designed, versatile doors are suitable wherever you want to transform your home; living room, bedroom, kitchen, conservatory. The choice is yours. Aluminium Bifolding Doors come with all the assurances you would expect from a quality designed product. The aluminium profiles are designed to give strength and durability to ensure a structurally sound product that requires minimal maintenance and delivers reliable performance over a lifetime of use. We can offer you a range of bespoke high use Aluminium commercial doors, available in many different styles and an endless choice of colours. Our extensive range of composite doors are energy efficient and secure. They provide a great alternative to timber, as they are designed to replicate the look and feel of traditional timber doors. Composite doors require less maintenance than their wooden counterparts as they are durable and easy to maintain – all wipe clean and will not rot or warp. Our range of modern stylish composite doors are expertly crafted to a high standard, and provide an excellent level of security for your home. The added benefit of all of our composite doors is that they are U-Value compliant, meaning they reach the legal requirement for thermal insulation, or in other words, they excel at reducing heat transfer, saving you money on energy bills. We can offer you high quality replacement, supply only or new build PVC double glazed windows. We use only industry leading products from reputable long standing manufacturing companies. Available in an endless choice of colours, finishes (incl woodgrain) and glass designs. All purpose made and fully customisable to suit your needs and property. We have the expertise to fully guide and assist your choice. All our windows, hardware and installations are fully guaranteed and insured for 10 years. Our windows are A rated to give you superior energy efficiency. For a truly traditional style with all the benefits of a modern PVC window, we can offer you vertical sliding sash windows. These windows operate in the same way as traditional sash windows but achieve this with modern hardwearing mechanisms. As with standard PVC products, vertical sliders are double glazed. Vertical sliders are available with the same options as standard PVC windows, with a choice of colours and woodgrained effects. Glass can also be fully customised with various choices such as Georgian bar, astragals or Leaded Lights. We can offer a range of bay windows, available with reinforced poles and load bearing bases. Our skilled fitters can accurately measure the angles and replace any existing bay combination. Bow Bays are an excellent way to turn a standard flat window into a feature window with 2, 3 or more individual facets. A flat roof is constructed on top of the bow bay and can be dressed in lead in a variety of different ways to add a whole new look to your once flat window. We can redesign the front of your house with a porch, giving you a whole new entrance space and added security. Fully Bespoke to your needs and your property. Tilt and Turn PVC window provides you with two options. Turn the window handle in one direction and the window tilts inwards – providing a large ventilation aperture. If you close the opener and turn the handle further, the whole window swings open on side hinges into your property. This feature of the tilt and turn window makes it the perfect solution for locations where access for cleaning may be an issue or where regular ventilation is required. There are many different glass options available to you, all fully bespoke and designed to your specific needs. We can offer Georgian Grilles, authentic Astrigal bar, Diamond leads, Square leads, Stained leads, bevelled designs. We have various brochures on hand to give you an idea of the various options available with glass. Aluminium combines slim sight lines with neat and elegant styling to allow maximum light into your home. Carefully made to measure by our skilled craftsmen, your new windows and doors can be any height or width you choose. Tough and protective, the polyester powder paint gloss finish is guaranteed to maintain its beauty for years to come. There’s virtually no maintenance because it simply wipes clean with a cloth. It is resistant to pollution, dirt and grime that can discolour and stain many other types of windows. Aluminium is naturally stronger and more durable than other materials commonly used for windows and doors. It will not warp, rust or need painting, and aluminium’s inherent strength makes it particularly suitable for bay windows and doors. The strength of aluminium provides the high level of security you should expect from today’s modern windows and doors. All windows and doors can feature multipoint locking systems as standard, providing secure peace of mind. All our products offer market-leading energy-efficiency to keep your home warm and help reduce the cost of heating bills. All window sections have a polyamide thermal break to improve thermal insulation. Available in either a brilliant white, high gloss finish or a range of more than 500 colours. Dual colour options are also available where the internal colour differs from the external colour. Looking for a visually similar replacement for your existing period timber or metal Crittall windows, but want to take advantage of modern manufacturing methods and materials giving enhanced thermal performance and security? We have two solutions for you. Come and visit our newly refurbished showroom and see how we can improve your home today.